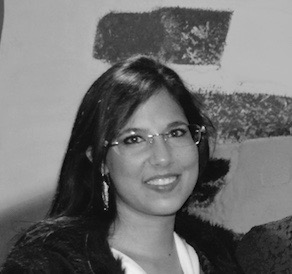 Gemma Rodrigues is a curator and art historian, whose most recent research interests include interfaces between technology, art, and activism in the Global South and approaches to the “digital humanities” grounded in postcolonial critique. She is a Research Fellow at M-ITI and holds graduate degrees in art history from the University of St. Andrews and Harvard. She has conducted extensive field research for her doctoral dissertation on the politics of landscape and belonging in Zimbabwe. From 2010 to 2015, Rodrigues was the Curator of African Arts at the Fowler Museum at UCLA and a co-editor of UCLA’s journal African Arts. Recent publications include essays in Global Art and the Practice of the University Museum (Routledge, 2017) and World Share: Installations by Pascale Marthine Tayou (Fowler Museum UCLA/Washington UP, 2016). The ERAChair and Scientific Head at M-ITI, Csíkszentmihályi investigates the sociopolitical causes and effects of technology, and intervenes. Before M-ITI he co-founded (with Jude Mukundane) the RootIO Project, a cloud and hardware stack for proliferating community radio in rural areas around the world, on track to launch its 20th station in Uganda this year. A professor at MIT, he founded the Media Lab's Computing Culture Group, and cofounded and directed the MIT Center for Civic Media. Jude Mukundane is a technology enthusiast with a bias for technology solutions for the societies least placed on the socio-economic scale. A graduate of Computer Science from Makerere, Jude is now enrolled as a student at the Madeira Interactive Technologies Institute and IST Portugal pursuing a PhD in Networked Cyber-physical Systems. While working at Uganda Telecom, he helped develop Mobile phone based birth registration for the Ugandan Government in conjunction with UNICEF and is advising on its implementation in Mozambique. With RootIO, Jude is building inexpensive low power FM radio stations to hand control of FM radio to the people who depend on radio the most. Jude has also been interacting with the DW Team in Uganda to build telephony tools to foster freedom of expression over FM radio. Daniel Mwesigwa is interested in the intersection of tech, finance, design and politics. He writes for the inquiring minds, and has extensively contributed on iafrikan.com and trueafrica.co about African startups, entrepreneurship, VC/Angel investment, among others. He is a co-founder a dignited.com, a consumer tech blog in Uganda behind an interactive platform for keeping track of the fast growing number of innovation hubs and makerspaces hosted in Africa, live on dignited.com/hubs. He studied Bsc. Land Economics from Makerere University Kampala. Michelle Kasprzak is a curator and artist pursuing her doctorate on an ARDITI studentship at the Faculty of Engineering, University of Porto and Madeira Interactive Technologies Institute, supervised by Chris Csíkszentmihályi. She has developed and delivered curriculum for the Master’s Education in Arts at Piet Zwart Institute, the Open Design BA minor at Willem de Kooning Academy, and the Canadian Film Centre’s New Media Lab. Her most recent academic papers were presented at 4S/EASST and STS Italia, and her latest peer-reviewed paper (co-authored with Deanna Herst) was published in the Disegno Journal of Design Culture. With a background in English linguistics, Elise managed the Dublin Computer Clubhouse for the Intel Foundation/MIT Media Lab Europe. She then worked on research and technology projects for the charity sector for 10 years before moving to the Madeira Interactive Technologies Institute. She is currently working on social impact measurement at Antropia ESSEC, Paris. Her voluntary work has involved founding and chairing the Loughborough Junction Action Group and being a Trustee of the European think tank Independent Academic Research Studies. Cristiano Gianolla studied Computer Science, Philosophy (BA), Political Philosophy (MA), Human Rights and Democratisation (E.MA), Sociology and Political Science (PhD) in Italy, Germany and Portugal. His main fields of expertise are democratic theories and their intersections with the metaphorical South, interpersonal and intercultural dialogue, cosmopolitanism and global justice. He worked in the Information and Communication Technology field as well as for Non-Governmental Organisations, International Institutions and in Academia in various countries. Since 2011, he has been a researcher at the Centre for Social Studies of the University of Coimbra. Cátia Jardim has a Bsc. in Communication and Culture from the University of Madeira. Since 2013 she has worked as project manager at M-ITI, with a special interest in European Commission programs. Elsa has a Bsc. in English and Business studies from the University of Madeira. She is currently Communications Manager at M-ITI. The 'Social Tech Ecosystems in sub-Saharan Africa’ report is the result of research commissioned by a partnership of three UK foundations working in the fields of social tech and international development: Comic Relief, Indigo Trust and Nominet Trust. The study began in December 2016, was published in May 2018, and was executed by the Madeira Interactive Technologies Institute (M-ITI). It has combined field work in sub-Saharan Africa, desk review, a peer nomination process, participant observation, and semi-structured interviews with 116 individuals in 32 countries in English, French or Portuguese. This site documents some of our research process, featuring interviews, analyses, and anecdotes that didn't make it into the report. The Madeira Interactive Technologies Institute (Madeira-ITI) is a not-for-profit innovation of the University of Madeira, founded by the University of Madeira, Madeira Tecnopolo, and Carnegie Mellon University. The institute was created in December 2009 in order to provide a home for the numerous collaborations between these partners, in both research and education. M-ITI operates in the interdisciplinary domain of Human- Computer Interaction (HCI), encapsulating contributions from the disciplines of computer science, psychology and social sciences, and design, with the goal of engaging in important scientific and technological challenges. Comic Relief is a UK charity which aims to create a just world, free from poverty - where everyone is safe, healthy, educated and empowered. Since 1985, Comic Relief has raised over £1 billion. That money has helped, and is helping, people living incredibly tough lives, both at home in the UK and across the world. Indigo Trust is a UK based foundation which funds projects and organisations in Sub-Saharan Africa that leverage the power of mobile and web technologies, to foster active, informed citizens and accountable governments. Indigo supports civic tech communities and innovation hubs that use digital technologies for positive social change, in order to grow and strengthen the social tech sector in countries across Africa. They also provide small and high-risk grants to early stage projects to stimulate innovative approaches to tackling social challenges. They offer their grantees tailored, bespoke support and access to a wider network to amplify their impact and strengthen their organisations. They also support wider sector initiatives and shared learning in the social technology sector. Nominet Trust is the UK’s leading social tech funder. It provides 100 per cent grant funding, mentoring and business support to organisations using the internet and digital technology to address significant social challenges including health and wellbeing, economic empowerment and sustainability. Since 2009, Nominet Trust has invested more than £25m in projects harnessing technology to deliver real social change. Through partnerships and campaigns such as the inspirational NT100, Nominet Trust mobilises new approaches that will influence and accelerate the use of tech for social good. Nominet Trust was founded in 2008 by Nominet. Nominet is a public benefit company, with 20 years’ experience running the .UK internet infrastructure. Building on that expertise, Nominet is actively involved in connecting devices as well as people, helping people be safe and networks stay secure, and supporting the next generation of ideas and talent. With the proceeds of its successful registry business, Nominet set up and funds Nominet Trust, its charitable foundation.